Been meaning to post this S700 build because the kid is sure plugging the hell out of it! Literally, he plugged the BB drain hole! Looking like the batch of protos were sold off. Some promising builds coming up I’m sure. Let us know your thoughts. 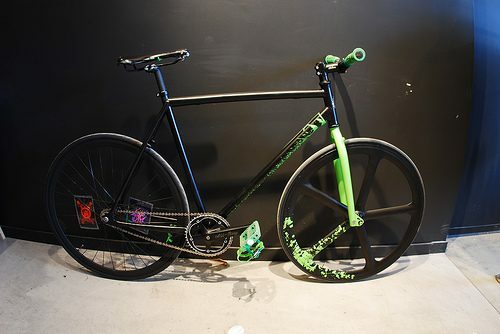 I know it’s a “first” in the fixed gear world, so I’m sure it’s a new experience for everyone. I can’t wait for the new protos to come out. It’s only going to get better with time. From a recent email with Drew at Milwaukee, it seems as though we have an official name for the S700… more to come.